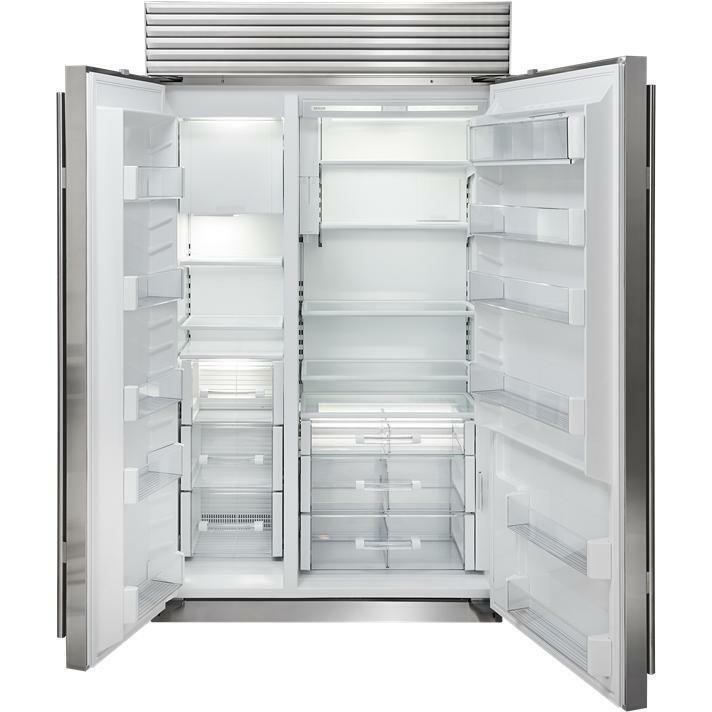 Sub-Zero side-by-side refrigerator with internal water and ice dispenser. 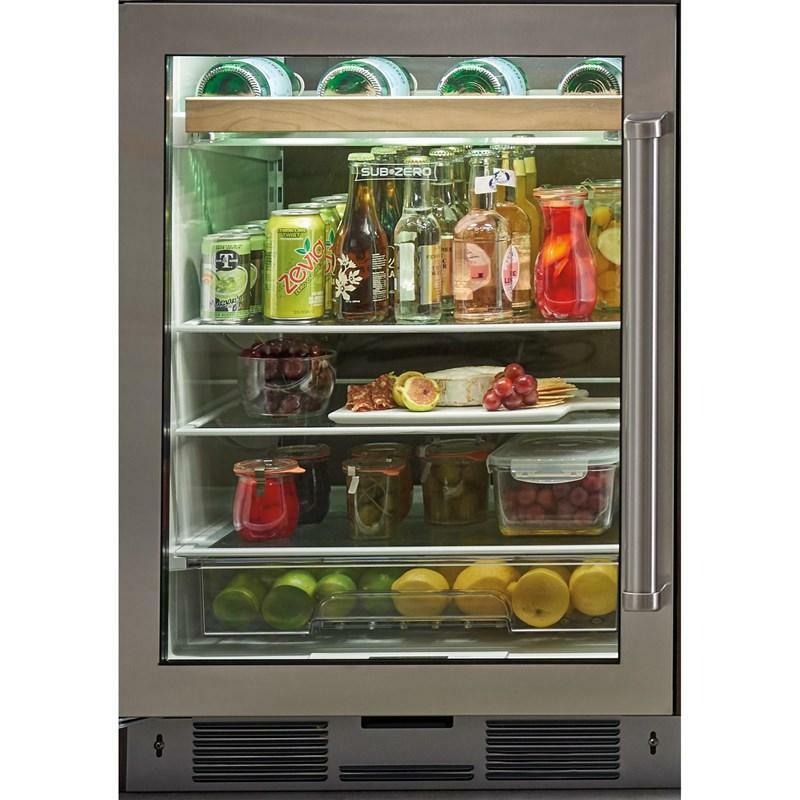 Sub-Zero dual refrigeration along with a air purification and water filtration systems guard the freshness of your food and water like nothing before. 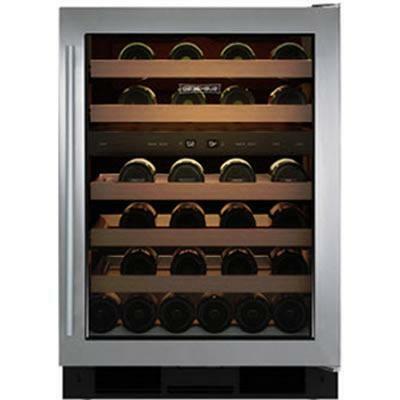 It features adjustable spill-proof glass shelves, and crisper and deli drawers form a special low-temperature zone. Total 28.2 cu. ft. / 0.80 cu. 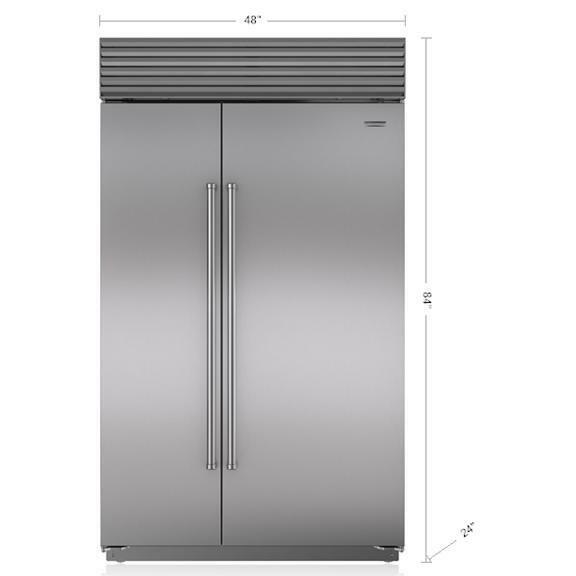 m.
Refrigerator 18.6 cu. ft. / 0.53 cu. 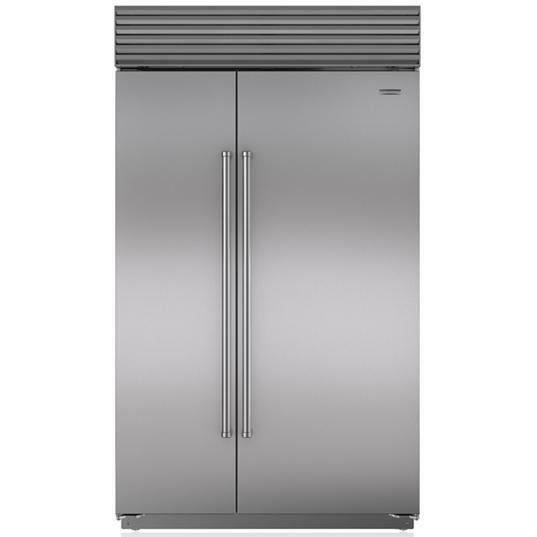 m.
Freezer 9.6 cu. ft. / 0.27 cu. 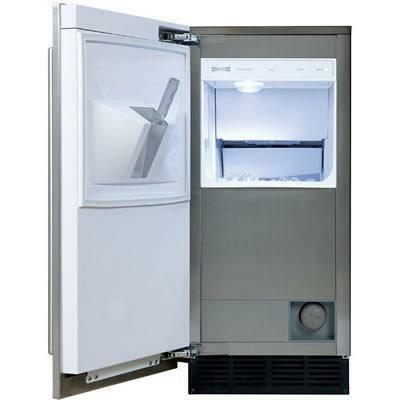 m.
Technologies Air Purification System; Automatic ice maker. Additional Information Stainless steel grille and Pro handles. Warranty 1 year parts and labor; 5 years sealed system.